Although Hejnar Photo has been engaged with the development of modular L brackets for the SONY a6nnn series ILC cameras for many years, some patent disputes lately have deprived them as many other brands from manufacturing and selling such brackets. 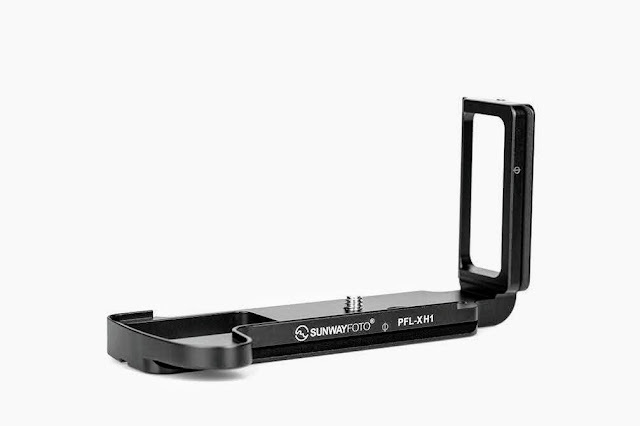 So back to base plates, they made an effort to introduce a plate with a minimalistic approach in size and weight. 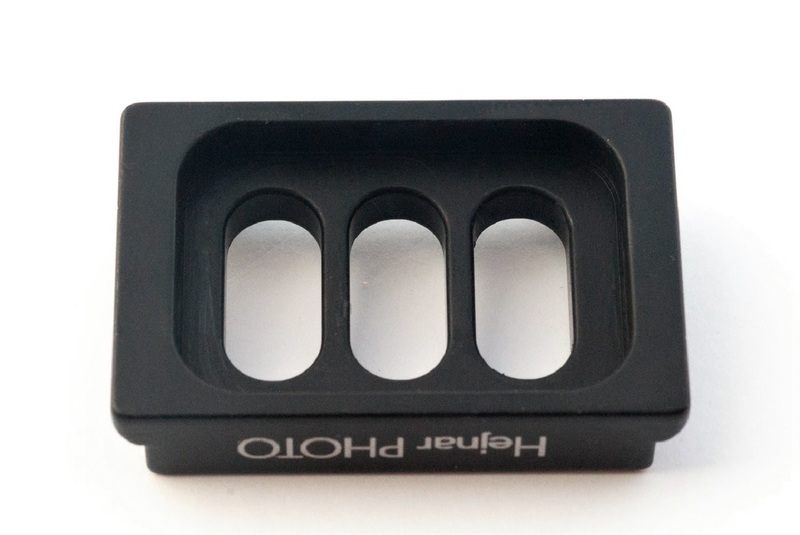 The new D036 is the evolution of a small generic plate with rear ridge into a more customized mini plate with double anti-twist tabs on the sides at the front. 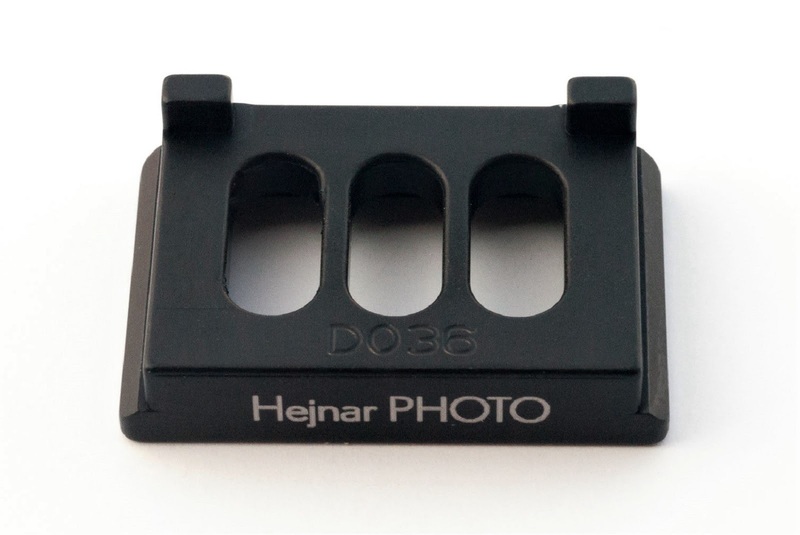 The Hejnar D036 can also fit other cameras with a compact body allowing for three positions of the mounting screw for better centering. 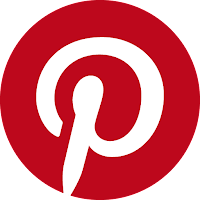 The bottom is hollowed and due to the constricted area available, can accept only small cap hex-socket captive screws. 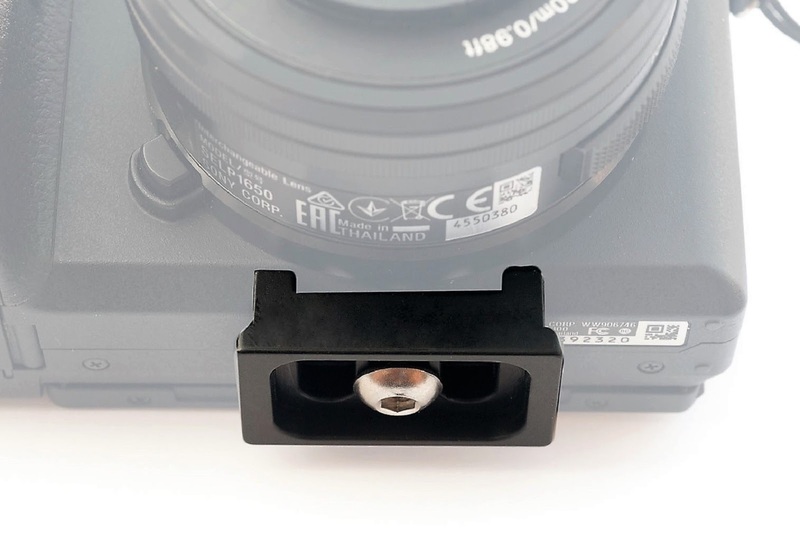 The two anti-twist tabs are meant to fit on the front below the lens barrel, thus the gap in between them is necessary. The rear side leaves enough space for the LCD screen to be turned and/or lifted. 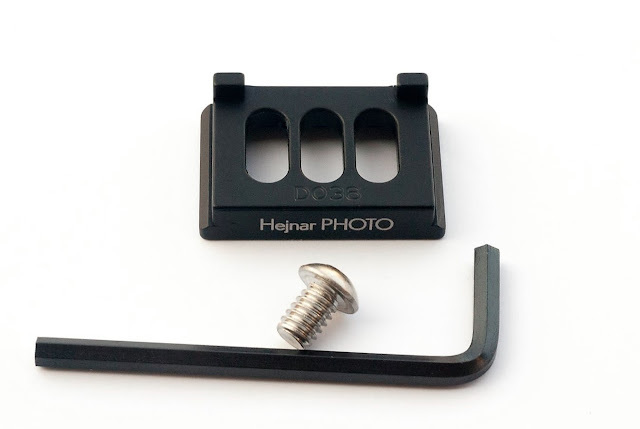 According to Hejnar Photo standards, the plate is accompanied by an 1/4"-20 mounting screw and the appropriate size Allen hex wrench. Needless to mention, that Hejnar Photo plates are compatible with all Arca style clamps even RRS® lever release clamps. 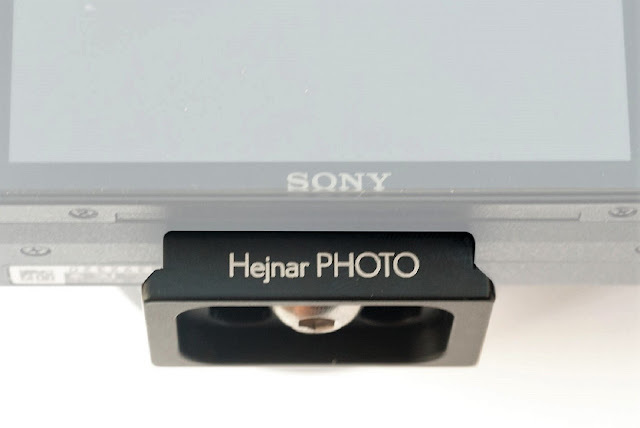 Current price for the D-036 Plate for SONY is US$ 20.00 (+shipping where applicable) and is available from the Hejnar Photo online store.